I’ve been knitting along on my Skew socks, (click that link for the free pattern) and you’ve been following along, living vicariously through me and my needles right? Right. Well today we skew that heel. Its time to turn these babies from oddly shaped tubes into real socks. Step 1) Feed all bad kitties mackerel so they are happy and full and sleepy and leave us alone. 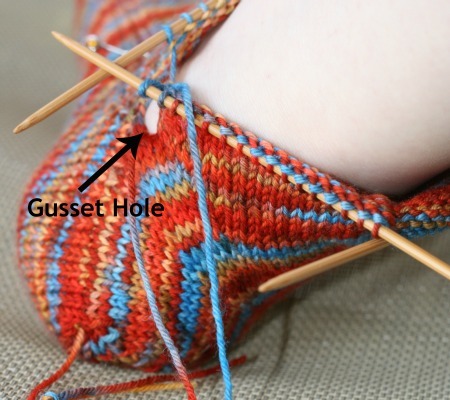 Step 2) Move the left sock off the circular and onto its own set of double pointed needles. We’ve been warned that the heels can’t be done two-at-a-time since they turn in opposite directions. So we didn’t even try. Step 2a) Make sure that really was the left sock because it would be just like us to put a right heel on the left sock wouldn’t it? 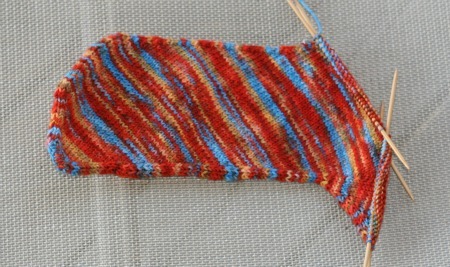 Step 3) Knit the heel-shaping-left-sock-only part. Which just makes it look even more mutant shaped. Also we had to go digging into the knit notions stash because this section needs another stitch marker. Step 4) The “origami moment”. That’s is what the pattern author calls it because we have to fold some of the stitches around and Kitchener Stitch them together. 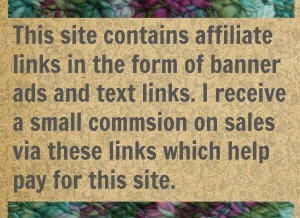 By the way, why doesn’t this blog have a Kitchener Stitch tutorial? Somebody had better get on that. We did a bang up job on that Kitchener Stitch seam and its practically invisible. Nice. Step 5) Knit the first round on the left mini-gusset and realize that we have a HUGE gusset hole. Oh no! Step 6) Check the pattern and find “ there will be a hole at the top of the heel where the Kitchener stitch seam ends” Okay, phew. “Use tail of seaming yarn later to close the hole.” So we can just ignore that huge gaping hole in our otherwise lovely sock. Step 7) Try them on. Step 8) Try to figure out how to take a picture of the back of our own foot. It’s not easy but we managed. Ta da! That’s one heel completely Skewed. 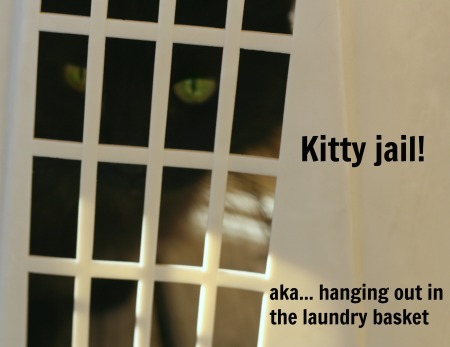 Step 9) Get some fresh coffee and go figure out what the bad kitties have been up to while we were busy knitting the coolest heel ever. Help For the Shopping Impaired → ← Get Gauge. No math. 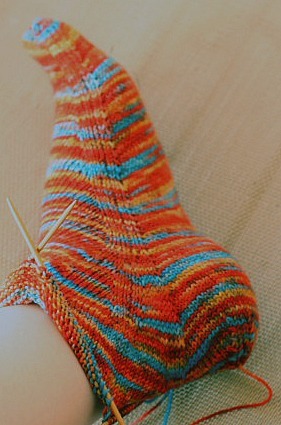 8 Comments on "Skew that Heel"
Beautiful work, & nice job with the origami- the socks, & you, taking a pic of your heel! ? lol. You should have seen the contortions that happened for that picture. But it was worth it! A tutorial would be so useful.I’ll be looking forward to that one. They are pretty fun to knit. 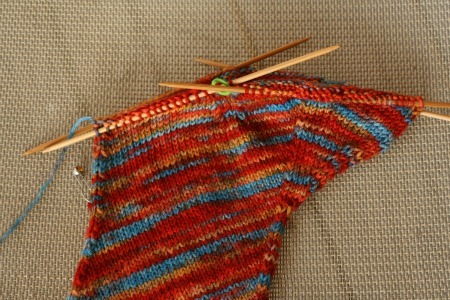 The leg, which I haven’t gotten to , is all short rows. So there is something to keep me interested in each section.